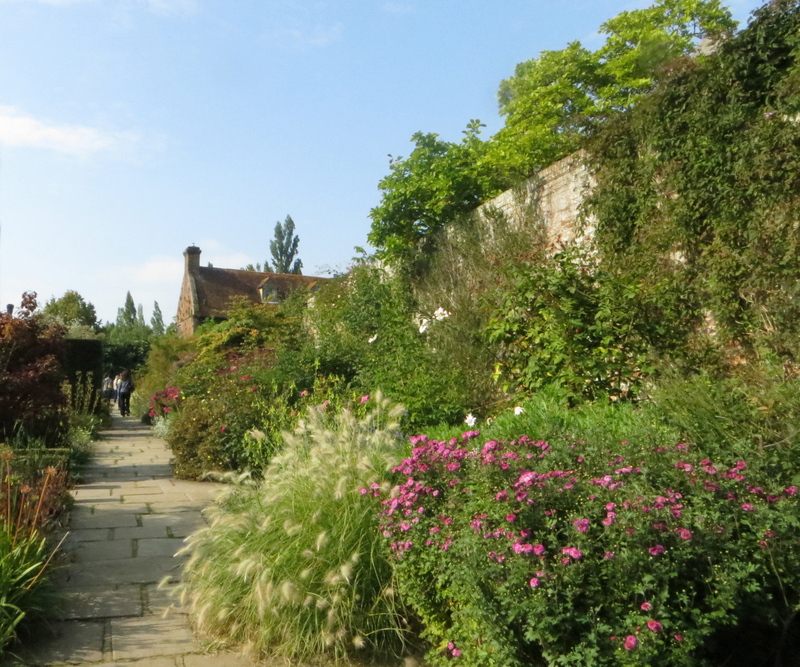 Last weekend in the beautiful October sunshine we visited Sissinghurst Castle gardens in Kent. It is always a lovely place to visit and it is good to go there in Spring, Summer and Autumn. We enjoyed a short sit down on a bench in the garden and took a few photos. This one I have now painted a watercolour of.. I have tried to recapture the colours of summer, so excuse the liberties taken! I hope you like this very short post. The Blue Danube post has had an update too with a painting of the Charles Bridge in Prague added. A quiet corner of Sissinghust Castle Garden. 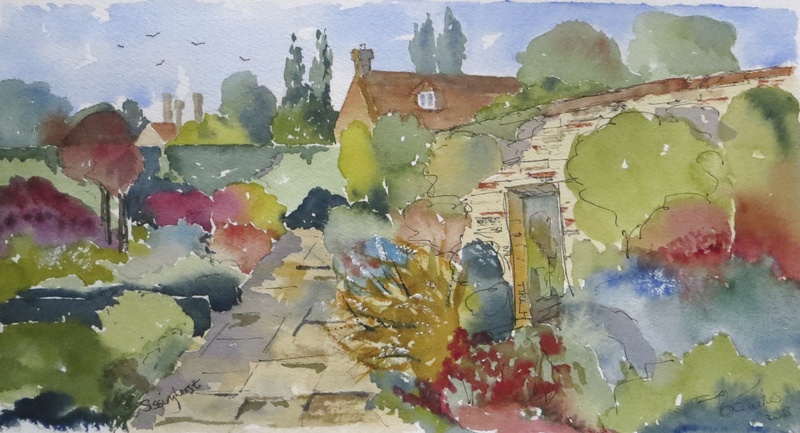 Watercolour 11 inches by 7.